The purchasing of eyewear is an important decision in which several factors should be considered. 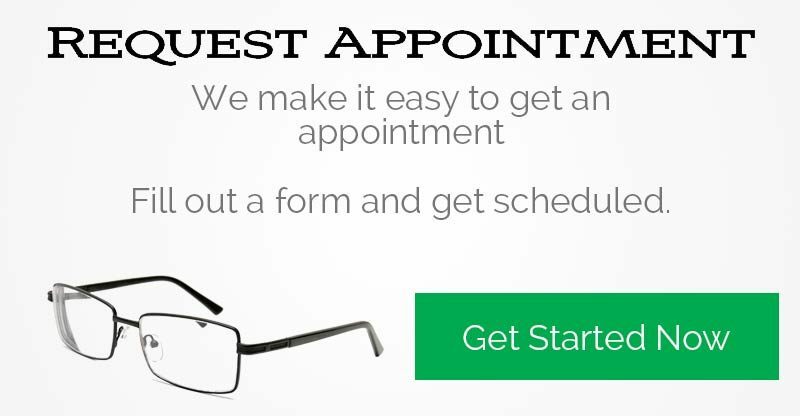 Our trained professional staff will assist you by determining your specific eyeglass needs. Things we consider are lifestyle, workplace environments, sports and safety. Eyeglasses are worn continually so should reflect your personality and enhance your appearance. At Penobscot Eye Care, our frames selection includes: Value, High Fashion Designer Styles, Sunglasses, Sports Goggles & more. All of our frames are guaranteed. Our trained eyewear professionals will help you make the right choice based on many factors including: Skin Tone, Face Shape, Life style & Prescription. We service and repair all of our products. Different eyeglass frame materials greatly expand your options for a new look. While shopping for new eyeglasses or sunglasses, ask your optician for advice about variety in colors, durability, lightness, favorite brands, hypoallergenic materials, uniqueness and price. In fact, finding eyeglasses with the qualities that are most important to you could be as simple as choosing the correct frame material, because each type has its own unique strengths. Performance sunglasses leave your street shades far behind in terms of flexibility, durability, non-slip materials and high-quality lenses. Find out which features to look for, whether you need sunglasses for a specific sport such as golf or all-purpose toughness for the rugged outdoors. Prevent Blindness America reports that hospital emergency rooms treat more than 40,000 eye injuries every year that are sports-related. Even non-contact sports such as badminton can present inherent dangers to the eyes. These days, lenses offer a lot more than vision correction. They can be customized to fit your lifestyle, too. When you come into Penobscot Eye Care, we’ll walk you through your lens options. We also offer complimentary maintenance to keep your eyewear performing at it’s best. Simply put, Transitions® lenses adapt. Transitions® adjust from clear indoors to dark outdoors. But it’s not just about light or dark; it’s about everything in between. No matter where you are, or what situation you’re in, Transitions® lenses adapt to the perfect shade so you see with just the right amount of light. Like regular bifocals, progressive lenses provide a range of vision that varies from distant to near, but without the line across the lens that bifocals have. Penobscot Eye Care chooses to use Varilux lenses as our primary choice for progressive lens patients. Varilux lenses are protected by eight different patents. So when you wear Varilux lenses, you are guaranteed the best technology available for treating presbyopia.